I am going to use this time to become much more active in this blog. I am going to be spending the summer upgrading and adding significantly more content to this blog, website, and my social media pages. Many of you are on my email distribution list. I do not send out many emails, and they basically only deal with my upcoming teaching schedule. Their frequency will probably not change, but I will their content with time. Email Distribution List – Not very often, since it requires heavy maintenance on my part. If you are not on it now, feel free to email me requesting to be added. And by all means, you can use email to ask me any digital photography, iPad/iPhone questions you have, and I will promptly reply. My Welcome Page – Most of you are familiar with this, and it does provide links to some of my sites. This Blog – Probably the timeliest and most frequently updated of all of my sites. I have been posting here more many years now, and there is even a Search button that can be used to get to previously published material. There is also a button that allows you to subscribe to it and get an email whenever I post something. And please hit the Like button, and add a comment when you find a post that is useful or interesting. Facebook – I actually have two (actually three of you count my Leuzinger High School page) on Facebook. One is where I generally post family stuff, but on occasion will have links to digital photography topics as well. If you are a Facebook user, please go to the pages below and subscribe or Like the page. I would really appreciate it. YouTube – Currently, I have a large number of videos already posted on YouTube, but they are generally accessible by direct links provided from one of my other sites. My Channel is not really active now, but that will change very soon. If you go to one of the linked videos, which are mostly Public, you will see Like and Subscribe buttons there, similar to Facebook. Please Subscribe or Like the videos if you found them interesting or helpful. Here is a link to one I posted recently from a trip I took to Mammoth in 2015. From there you can view or subscribe to my videos, most or many of which are tutorials and demos. Pinterest – On my Pinterest page you find links not only to my tutorials, but those I found interesting written by experts. There are scores of links on several boards with a variety of subjects related to my interests. It is a great please to see very interesting and helpful articles and videos that have helped me. You can subscribe to my Pinterest posts as well. My Photoshop Elements eBook – Now for my commercial. I have written three eBooks that cover only the Organizer of Photoshop Elements. My latest one covers Photoshop Elements 14. They are all available on Amazon. Here is the link to my latest one. I suspect I will write additional eBooks in the future. As you know most of my posts and videos have dealt with Photoshop Elements. I will continue covering that program, but will add more and more content covering Lightroom CC, Photoshop CC, as well as material on iPads/iPhones. Related subjects, such I my use and experiences with my DJI Phantom 2+ drone will also be added. My overall goal is to pass on what I learn as I practice my hobby making the content more understandable and easier to follow than its original presentation may have been. Also, suspect I follow these technologies more closely than you have the time to do. These two provide the value I add to a information available online. The Levels command has always been a primary command in both Photoshop and Photoshop Elements. 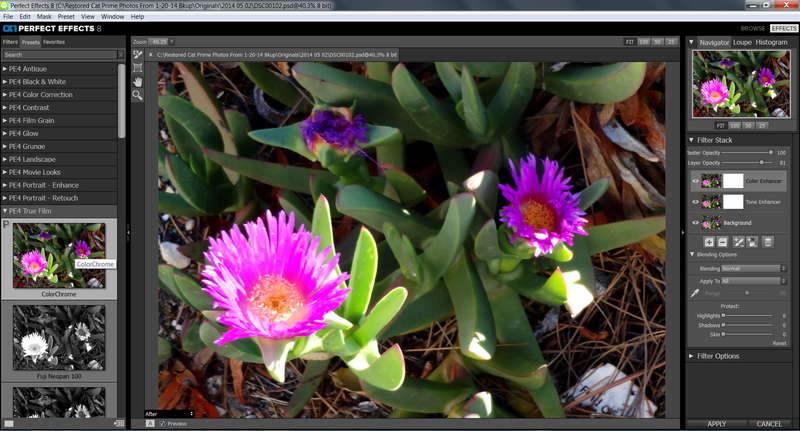 Many new commands and methods for adjusting the exposure, contrast, and color of an image have been added over the years. 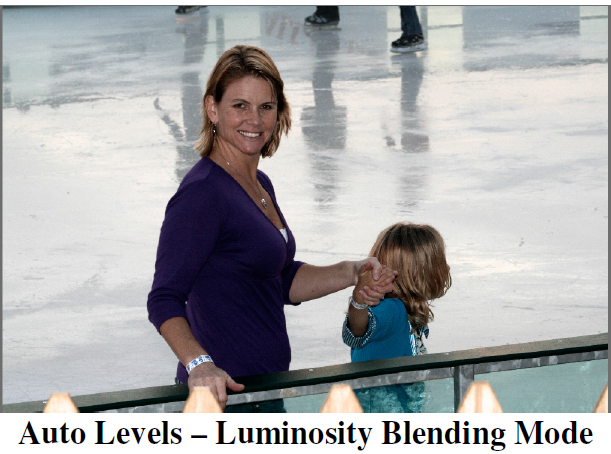 As the article below from DPS demonstrates, Levels still serves as a quick way to adjust and correct your photos. It is generally my go-to command when I edit JPEG images. Do you still use Levels? If you have ever taken one of my Photoshop or Photoshop Elements classes, you know that I am a big fan of improving the skies or replacing them altogether if they are unfixable. This YouTube video demonstrates one of the most effective and easiest ways to replace a sky that I have come across. It uses Photoshop in the video, but since Photoshop Elements includes the Refine Edge Tool, the technique should work in it as well. I have not tried it yet. The video was produced by Anthony Morganti. In my last post, I noted that for a short time (I hope it has not expired yet) you could download OnOne Software Perfect Effects 8 plug-in/program for free. Perfect Effects 8 can be run as a plug-in in Photoshop/Photoshop Elements or in a standalone mode. Below are just two examples of want you can do with this program. Notice I used only two of the many presets available. You do not have to stop there. In the right hand panel there is an impressive array of tools that you can use to expand the starting point provided by the presets. To go even further, you can return to Photoshop to continue working. Perfect Effects 8 is a fun program to use and you sure can’t beat the price!